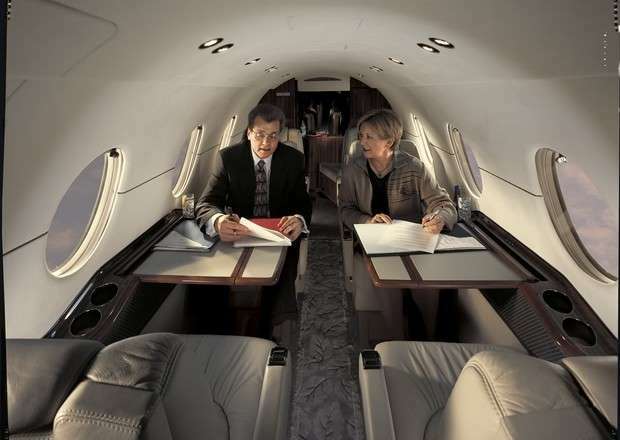 The Value of ARGUS Certified Charter Brokers | Stratos Jet Charters, Inc.
For both corporate travellers and personal travellers wary of commercial airlines, using charter brokers for privately chartered air services has become an option that affords convenience, service and speed. Of course, flyers also want to reach their destination safely. 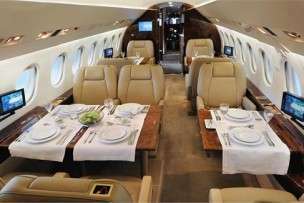 Unfortunately, not every jet charter service provider offers the best equipment, pilots, and other staff members. That’s where the value of hiring ARGUS certified charter brokers comes in. ARGUS was founded in 1995 with the goal of providing specialized services travellers could rely on to deliver an experience not available through many charter broker services and certainly not through commercial carriers. Now, more than 20 years later, ARGUS certified operations extend to over 60 countries spanning four continents. 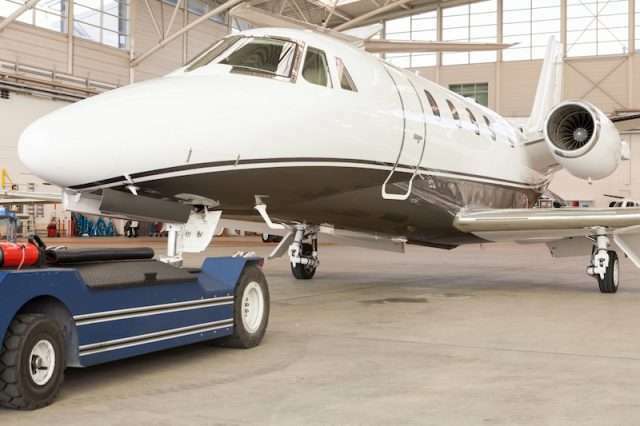 The organization has also partnered with Air Works to further enhance their ability to deliver high-quality flight charter operations across the globe. Established clients understand the versatility and agility of ARGUS certified brokers makes it possible to fly safely virtually anywhere they need to travel. While all ARGUS certified charter brokers must meet strict standards, few clients truly grasp the significance of the certification and why it’s so important. After reviewing the 10 Standards of Excellence, charter customers may well decide to look only to ARGUS certified brokers for assistance in the future. Here is a short description of the requirements as outlined by ARGUS. 1. Ethical and legal business practices. While that may appear obvious, there are certainly charter brokers with less-than-stellar reputations. ARGUS insists certified charter brokers obey all standards normally expected of brokers charged with the safety of clients. 2. Compliance with applicable rules, regulations, and customer-dictated preferences. Because client safety is so important, ARGUS insists that every broker affiliated with the organization complies with all applicable government and corporate regulations. Of course, since a client’s flying experience is also vitally important, ARGUS insists brokers maintain high service standards at all times. 3. Fiscal integrity and appropriate transparency throughout customer transactions. Every client expects to have a complete understanding of the services being contracted and their costs. ARGUS certified brokers ensure every charter client is informed of charges for all services provided throughout their charter. That applies to all ancillary services provided as well as the flight itself. 4. Recourse mechanisms for complaints, disputes, investigation, and resolution. While every effort must be made to ensure a client’s complete satisfaction, ARGUS understands there is always a potential for problems to develop. That’s why the organization insists certified brokers have strategies in place to quickly resolve any issue that arises. 5. Passenger Safety and Security. There is always an expectation that every passenger will be safe throughout their charter experience. ARGUS insists on having safety and security protocols in place throughout the process to ensure passengers travel without worrying about their personal well-being. 6. Perform due diligence on charter operators in a systematic and consistent manner. Again, the issue of safety is of paramount importance to ARGUS, and every certified broker is required to review the history of every operator providing planes and staff members. Operators without the required qualifications are not allowed to fly clients of ARGUS certified charter brokers. The brokers are required to maintain accurate records related to the qualifications of aircraft providers and crew members. 7. Compliance with industry standards for charter brokers. Every industry has standards specifically designed to enhance the qualifications of members. The air charter broker industry is no different. Each charter broker is required to maintain those standards. However, ARGUS standards are, as a rule, far stricter than those the industry dictates. 8. Aviation knowledge and brokering experience. To ensure every client enjoys the best service possible, ARGUS insists their certified brokers are fully up-to-date on the industry and stay abreast of changes as they occur. Because best practices are not static, it vital that all charter brokers make concerted efforts to remain aware of any changes. Of course, experience is also important, so ARGUS certified brokers are required to have significant industry experience prior to achieving certification. 9. Passenger comfort and service. Charter brokers understand each client is unique and has their own requirements. That suggests ARGUS certified brokers must carefully review clients’ needs prior to booking a flight to ensure each client obtains the level of service necessary. 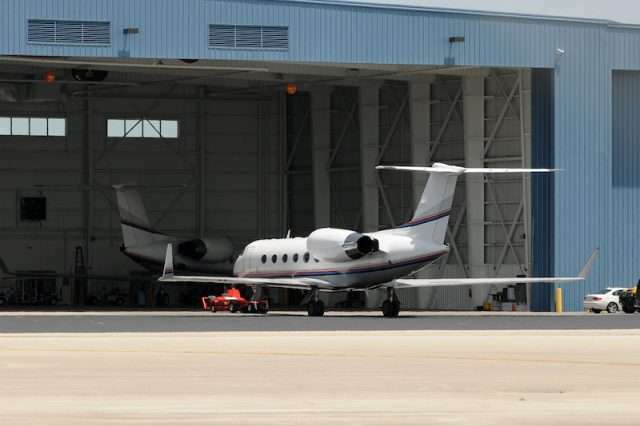 For clients, that means the certified charter brokers will ensure the best aircraft and staff members for the flight are obtained and ancillary services like ground transportation will be accommodated. 10. Employee hiring and training practices relevant to the business. Here again, both service and safety are significant considerations. ARGUS certified broker employees are expected to be knowledgeable and properly trained for their positions. Clients are easily frustrated when dealing with personnel who don’t have the qualifications to fully deal with their needs, and that’s not a standard considered acceptable by ARGUS. Of course, that’s only a brief outline of the 10 Standards of Excellence required of ARGUS certified charter brokers. Clients are always welcome to make inquiries into specific standards and how they benefit charter flight clients. Why Aren’t All Charter Brokers ARGUS Certified? ARGUS registered charter brokers pass three of four requirements while ARGUS certified brokers pass all four requirements. Image courtesy ARGUS. That’s a question travellers should always ask prior to chartering aircraft. Because safety, convenience, and service are hallmarks of ARGUS providers, why isn’t every charter broker certified? The simple answer is that not all brokers can meet the rigid requirements of becoming ARGUS certified. The simple answer is that not all brokers can meet the rigid requirements of becoming ARGUS certified. Aircraft utilized, pilot standards, and business practices all enter into garnering the coveted ARGUS certification. If a provider fails to deliver in any of ARGUS’s ten Standards of Excellence, they can’t obtain the certification. equipment that makes it possible for a broker to deal with the flying public’s requirements. the client’s account, which may be problematic for some charter brokers. appropriate aircraft to fit a client’s specific trip requirements may also be limited when dealing with some charter brokers not ARGUS certified. Larger brokers who’ve got solid reputations in the charter industry generally have relationships with carriers and can offer a variety of aircraft to meet the needs of virtually every flying client. Whether it’s a large-capacity aircraft or a small business-class jet, ARGUS certified brokers have demonstrated their commitment to the highest safety standards through regular, on-site reviews of their flight histories. At the same time, ARGUS certified charter brokers can assure patrons the aircraft crew members will be the best in the industry. We never recommend carriers with less-than-impeccable operational histories. We never recommend carriers with less-than-impeccable operational histories. The crew members selected for flights contribute greatly to the overall safety of any flight, and ARGUS is committed to ensuring every flight is manned with the best crews available. If the crew members selected by the operator, and in an instance where there is any question about the crew’s capabilities, we will cancel that flight and find an alternative that does meet our strict standards. To deliver the types of services today’s travellers require means service providers like aircraft charter brokers need to have access to constantly evolving technology. TRAQPak flight tracking and data that allow careful tracking and alignment with the aviation industry. AVMOSYS flight scheduling software to ensure clients are always provided with timely services to meet their traveling requirements. PRISM Safety Management Systems solutions to simplify the complex safety requirements of the aviation industry. Given the complexities involved in the air charter industry, it’s good to know ARGUS certified brokers have access to systems allowing them to provide safe, reliable services to clients regardless of the flight requirements. Of course, ARGUS continues to monitor the industry for new strategies that will improve the flying experience of their clients and pass new ideas on to certified brokers. In turn, certified brokers take advantage of all available options to provide clients with the very latest in aviation industry innovations. Why is that important to flying clients? ARGUS broker clients expect the very best equipment and staff every time they fly. ARGUS certified brokers are committed to using only the very best, meaning aircraft with questionable histories and staff members not properly vetted won’t be used for by any ARGUS certified broker. ARGUS trip assurance coverage is tied directly to the experience levels and records of the operator, which adds an additional layer of protection for every ARGUS certified broker client. That’s a level of assurance not provided by non-certified providers. By taking steps to minimize the costs of operation for aircraft providers, ARGUS helps to keep the costs passed on to consumers as low as possible. ARGUS brokers assist operators in their evaluations of potential aircraft purchases. When aircraft providers purchase models that cost less to operate, regardless of the aircraft type, those savings make it possible to deliver services cost effectively. Every savings ensures clients receive a level of service not generally available through other brokers. While every charter broker will insist they always keep clients’ best interests in mind, not all have the ability to do so in a truly definitive way. ARGUS certified brokers, on the other hand, can demonstrate the many strategies used to deliver the industry’s best service regardless of the type of aircraft chartered or the length of a trip. Booking with a non-certified charter broker, you simply don’t have assurance that your safety has been prioritized. Additionally, a non-certified broker lacks the internal systems and capabilities ARGUS certified brokers have. That means, in many cases, non-certified brokers may provide less-than-adequate planes or struggle in the proper coordination of your flight. These support systems differentiate ARGUS certified brokers from the rest. Remember, the flight is only one portion of a trip for most travelers. A variety of accommodations, from rental vehicles to hotel reservations, must also be dealt with. ARGUS certified brokers take pride in their ability to provide those types of accommodations through their vast network of affiliates. If your trip requires other accommodations, our trip advisors are always prepared to find the solutions to best fit your trip needs. Your questions will be responded to quickly and professionally to ensure your trip is everything you expect. The well-being of every client is important, and your ARGUS certified broker is committed to delivering all services in a manner that’s uncompromised. That simply means every client is treated with respect and courtesy from an initial contact until every promise is kept. While problems are rare when ARGUS certified brokers are used, they are always available to quickly resolve any issue that does arise. Also keep in mind that ARGUS certified brokers provide a scope of services non-certified brokers are unlikely to provide for any price. Size is important when it comes to a travel network, and ARGUS certification means brokers have access to systems and contacts competitors rarely can deliver. If your current provider is not ARGUS certified, it may be time to find out why they are not. At the same time, compare what they offer to the many services ARGUS certified brokers have access to. To enjoy the best service when chartering any type of aircraft, make sure the broker you contact is ARGUS certified.